Yarn substitution is probably the most popular mod people make to a pattern. 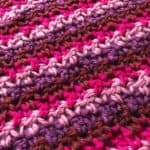 If you have a yarn in your stash that you’re dying to use, or if the called-for yarn just doesn’t work for you, this article will walk you through the basics of successfully subbing a yarn. One of the most basic of factors when substituting is matching the gauge of a yarn. 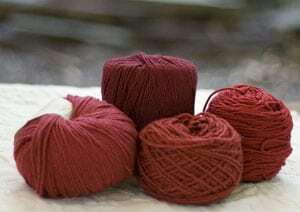 In addition to checking the stated gauge of the pattern, you should also check the ball band gauge (that is, the gauge that the manufacturer recommends for the yarn). If there’s a big difference between the two it will clue you in on an important element of how the yarn was used in the pattern. For example, a sweater done in a laceweight yarn knit to a gauge of 5 stitches per inch will have a ballband gauge of laceweight yarn. In this case, if you substituted a worsted weight yarn you’d get a completely different garment! When substituting yarns, you should seek out a yarn that has a ball band gauge similar to the called-for yarn’s ball band gauge. What comprises the yarn has a big impact on how it behaves too. The simplest substitutions will closely match the fibers in the original yarn. However, you don’t have to limit yourself to just those fibers. You do need to know what each fiber does though. Below, I’ve outlined the characteristics of several fiber types. If none of the fibers on their own meet all of your goals, look for a blend. Yarn blends are becoming increasingly popular and often highlight the best of each fiber. Some popular blends include Brown Sheep Cotton Fleece (80% cotton, 20% wool) that combines the warm weather suitability of cotton with the elasticity of wool, and Berroco’s Ultra Alpaca line (50% alpaca, 50% wool) which combines the softness of alpaca, and the elasticity and lighter weight of wool. If you’re attracted to a less hard-wearing fiber, look for it paired with a synthetic for added strength and durability. 100% wool yarns have a good resiliency and retain their shape well. They are also very absorbent – making wool a great choice for garments that will be worn outside in the harsh elements. 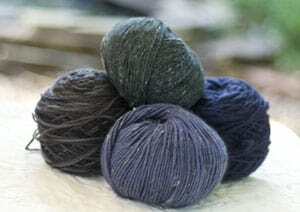 Due to its loft, wool yarn tends to be lighter in weight than other animal- and plant-fibers. If the garment was made with a particular breed of sheep – e.g. Merino or Shetland – keep this in mind too. The short staple, smoothness of a merino or the long staple, grabbiness of a Shetland yarn will also play an important role in your substitution. Sometimes called “poor man’s cashmere”, alpaca is a soft fiber, weightier than wool and with a beautiful drape. This drape also translates to a lack of elasticity – ribbing and cables will flatten out because alpaca doesn’t retain its shape well. Alpaca is also known for its warmth – the hollow core of alpaca fiber makes it very insulating and much warmer than a garment made of wool. Known as one of the most luxurious fibers, cashmere is super-soft fiber with great insulating properties. Similar to alpaca, cashmere has a lovely drape and lacks elasticity – ribbing and cables won’t stand up in a cashmere yarn. Its short staple length – the length of the fiber before spinning – makes it susceptible to pilling as well. Like most plant-based fibers, cotton is a non-insulating fiber with a much greater weight than its animal-based counterparts. Garments made in cotton will weigh more than garments made in a wool. If you’re in a warmer climate and looking for a substitute for wool, consider a blend instead to give you the coolness of cotton without all the weight. As with cotton, linen and hemp are warmer weather yarns that lack elasticity. These fibers are lighter in weight than cotton though, and they also have a lovely drape. Linen and hemp yarns are typically wet spun, giving them an almost string-like feel when knitting it up. Some knitters find the texture of these fibers to be very hard on their hands and wrists, so try out a hank before committing to a whole project. One of my favorite FOs is a linen skirt I made last year and I found the effort outweighs the final product – after wearing it I just drop it in the hamper and wash and dry it like I do my jeans and t-shirts. With each wash and dry the yarn fluffs up and softens beautifully. Bamboo is an absorbent fiber with a high sheen, and a drapey silkiness. It tends to be a heavier fiber, and garments may benefit from using this fiber as part of a blend. Scarves, stoles and wraps are excellent choices for bamboo when it’s not paired with another fiber. Another warm weather alternative, soy yarns have high sheen and great drape. As you may have noticed by now, great drape is often at the price of elasticity, and soy yarns tend to be inelastic. It’s good to check how heavy a garment will be as well. There’s the practical element of this – you don’t want to make a garment that will feel like you’ve strapped a bag of sand onto your body. Checking the weight will also help you compare how well a yarn will work, especially when you’re substituting. 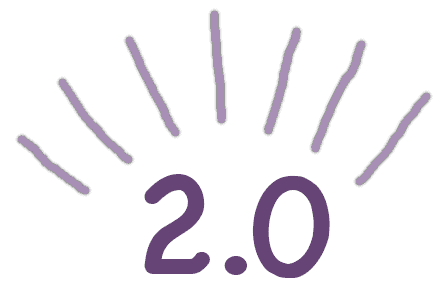 In general, animal fibers weigh less than plant fibers, and the weight of a garment will impact how it drapes. To compare the total weight of the garment, take the weight of each ball of yarn (let’s say, 50 g) and multiply that by the number of balls required for your size (let’s say, 14 balls). If you need to convert from grams to ounces, you can multiply the result by .035, or if you’re like me, you can just do it in Google Calculator. Give it a try – follow this link and let google do the conversion for you. Do the same calculation for the yarn you’re considering. If the weights aren’t close you should factor this into your decision. 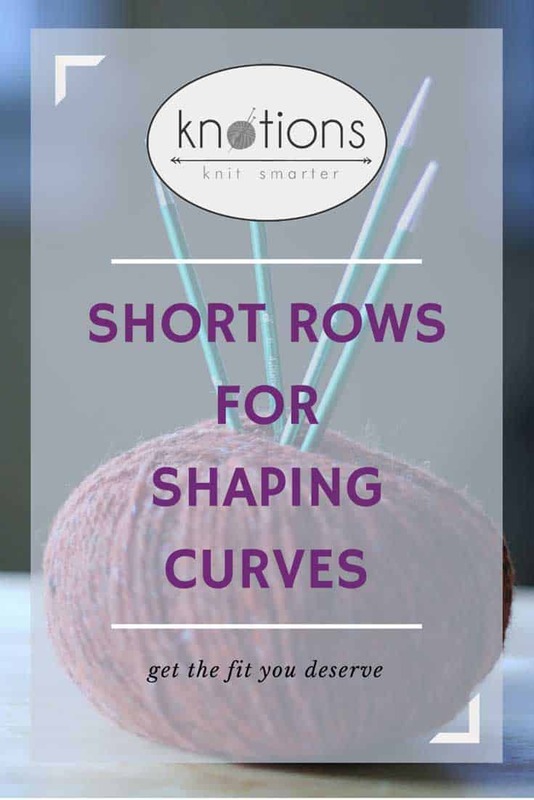 If the substitution yarn weighs a lot more it will feel heavier on you and it may stretch out more lengthwise – in both the body and the sleeves – and the shoulders might look stretched out. If the substitution is lighter, the garment may not have as much drape and may not have the body that was shown in the original garment. By ply, I’m referring to the number of individual strands that are spun together to make the yarn. Ply can have a big impact on how a yarn behaves. Single ply yarns show off the fiber – the lack of twist and intertwined plies allow you to really see the yarn. This lack of twist comes with its drawbacks though. Single ply yarns tend to pill more than their plied counterparts, and can sometimes bias when knit in large sections of stockinette stitch. Work a single ply at a slightly tighter gauge to battle the pilling (you’ll never solve it but you’ll reduce the pilling) and work it in a combination of knits and purls to balance out the twist (seed stitch or ribbing are great choices). Single ply yarns are not hard wearing, so socks and mittens will not stand up to harsh wearing over time. Two ply yarns are made up of 2 strands of yarn, making it stronger and more balanced than a single ply. The two plies will plump up better for cables than a single ply, but since there are just 2 plies the yarn has an oval shape, giving them a bit of a rustic look in comparison to a yarn with more plies. Three ply yarns are even more balanced than two ply yarns, and with that balance comes increased stability and durability. Cables will pop in a three ply yarn, and socks and mittens will stand up to hard wear. Consider any special needs you have for the yarn. Are you doing a colorwork sweater? Be sure to select a yarn that strands well and will successfully hold the steeks (if you’re using them). Felting the item? 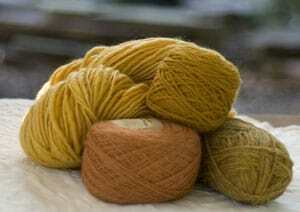 Knit and felt a swatch – felting properties vary among fibers and even among yarn manufacturer. Some light-colored fibers will not felt well because it has been bleached. If you need to felt a light color try alpaca instead. Since some alpaca naturally have white fleece, a light-colored yarn in alpaca probably wasn’t dyed. Now that you have the basics outlined for you – gauge, fiber, weight, and ply – you may find several options worth considering. You know what’s coming next, right? Swatch, swatch, swatch. 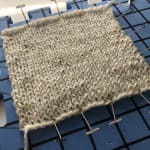 Knit up a good-sized swatch (at least 3-4 inches wide and tall) in the same method you plan to knit (flat or in the round). Measure it straight off the needles, and then launder it the way you’ll launder the finished item. After it’s dry, measure it again. Why measure twice? If the gauge changes dramatically after washing you’ll need to take it into account while knitting. Otherwise, the first time you wash your garment it will completely change its shape. If you’re looking for an easy care garment, many yarns are washable even though they state “hand wash only” on their labels, so this is the time to give it a try. Often I find that a yarn is washable but it loses some length in the process (often as much as 20%). I compensate by adding the length while knitting so the final garment is the right dimensions. 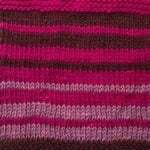 One other note about swatching – please, please do not edge your swatches in garter stitch! They make pretty swatches, but garter stitch has a compressed row gauge and can alter the row gauge on your swatch. The best swatch is one that just uses the stitch you’re swatching. Washing and blocking will help battle the curl of stockinette, and you can always pin in place for measuring. Similarly, measuring too close to the bound off edge can give you a skewed gauge measurement as well, so a larger swatch is a safer bet. Once you’ve selected a yarn and you’ve started your project, make sure you listen to your intuition. Check your gauge throughout the project, match it to the schematic, and if something doesn’t seem right, listen to that little voice and consider your options. If I’m concerned about how a piece is coming out, I’ll put it on some waste yarn and wash it to see how the finished piece looks. Often this is enough to give me the confidence that I’m on the right path. And if I’m not, it might be just the excuse I need for another trip to the local yarn store. You’re welcome! 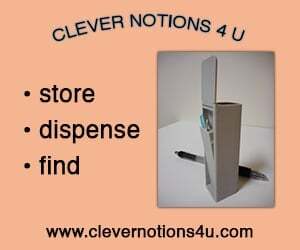 Glad it’s useful for you!